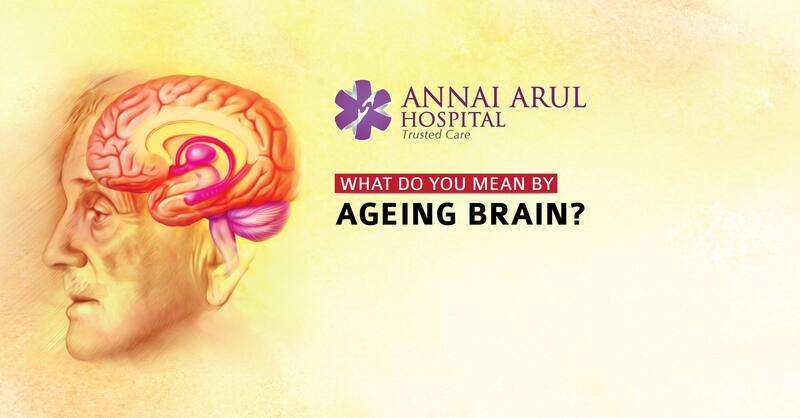 WHAT DO YOU MEAN BY AGEING BRAIN? Your brain does not keep on growing but stops its growth and slowly starts ageing. Your brain is still developing when you begin to be called an adult but it does not last long and once you reach your late 20s the ‘cognitive decline’ or ageing of the brain starts very slowly. Jokingly we say that your brain has shrunk to people who have grown older. This is no joke since it is physiological change our body cannot avoid. After you reach the age of 40 years, the brain gets 5% smaller with each passing decade. The process gets accelerated once you reach 70 and the brain cells die off with passing age. Regular physical exercise helps to have a healthier heart and those with healthy heart score high in mental tests. This means habits that help your heart also help your brain. Good sleep, balanced diet and daily exercise are observed to be brain boosters even if you are growing in age. The memory that helps us remember facts, like the capital of a country is called the semantic memory. While the ability to ride a bicycle is the procedural memory or muscle memory but remembering events in our life and that happens to us is called episodic memory. It is the episodic memory that goes first followed by semantic memory. Similar to good physical health aiding the brain health, a good mental and emotional health is brain nourishing. Challenging the brain with new skills keeps it going longer. Spending time with a group of good friends is emotionally enhancing and it can help you live longer while keeping your brain active. Blood flow to the brain diminishes as we grow older, with age it becomes slower and slower. First the slow blood flow affects the frontal cortex, where you have vocabulary skills. When you do regular exercise the heart’s pumping improves and the bonus blood keeps the mind healthy. There are three vitamins mainly, folic acid, B6 and B12 that helps lower the levels of certain proteins that causes dementia. These vitamin B series can be easily obtained from consuming bread, fortified cereals and leafy greens. When as a youngster you get a head injury or blow to the head it causes memory loss right away. Later you may recover from the temporary memory loss but as you age the symptoms can return to haunt you and cause trouble leading to Alzheimer’s etc. Even though as you age your brain health diminishes the mental and emotion health of an aging person should be better than that of a youngster. In the memory battle, it is always the women who win. When a memory test is taken the women score well than the men in any age group. This is more apparent after the age of 40 years.